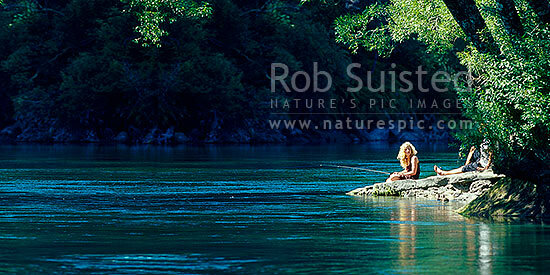 Relaxing sunny summer's day fishing on the Waikato River. Young woman and friend trout fishing under willow trees. Panorama, Taupo, Taupo District, Waikato Region, New Zealand (NZ), stock photo.